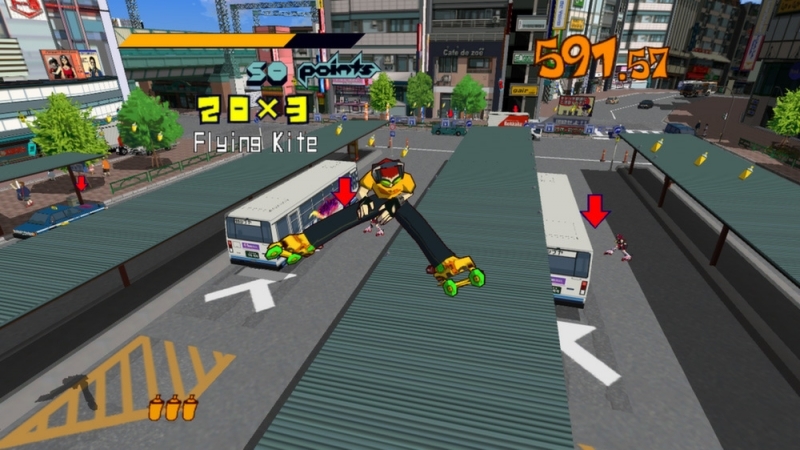 If, like me, you owned a Dreamcast during the early years of this millennium, you may recall the stunning Jet Set Radio (or Jet Grind Radio, as it was originally titled in the US). Its cel shaded visuals, radio-style soundtrack, and rollerblade mechanics made it one of the most memorable games on Sega’s short-lived console. Now, thanks to its third Make War Not Love promotion, Sega is giving away the classic game, along with Golden Axe and Hell Yeah! Wrath of the Dead Rabbit (plus DLC) free on Steam. This year’s promotion asks Steam users to choose one of Sega’s war games – Company of Heroes 2, Total War: Attila or Warhammer 40,000 Dawn of War – and the 'faction' that has the most active players by the end of the week is the winner. All three titles in the competition have been discounted by 75 percent, and the game that comes out on top will receive some free DLC. But Sega is also giving away classics from its back catalogue every 48 hours. The second round of free games will arrive tomorrow, and it includes Streets of Rage 2, Binary Domain, and the brilliant first-person horror title Condemned: Criminal Origins. The competition ends on February 20th. At the moment, Dawn of War is just ahead of Attila. If it stays this way, the Tau Commander DLC pack will be given away to owners of the game.